What is the difference between network slicing and Quality of Service? Network slicing is mentioned in nearly every industry presentation on 5G, but typically it is vaguely defined. What exactly is network slicing, and how does it differ from all the Quality of Service (QoS) initiatives that have been around for years. Why can’t QoS and related techniques do the job? The natural question that often arises during technical discussions about network slicing is why can’t existing internet techniques handle the task? For example, the extensively deployed Quality of Service (QoS) architecture called Differentiated Services (DiffServ) is meant to classify and manage different types of IP traffic (e.g. voice, video, text) flowing over a given network. There are also other well-known techniques like Virtual Private Network (VPN) which separate and isolate traffic across the Internet using techniques like IP tunneling. Also, more recent approaches like Network Function Virtualization (NFV) are meant to virtualize parts of mobile networks. Each of these features obviously has some overlap with the functionality of 5G network slicing. So why do we need to introduce network slicing as another approach? The answer is two-fold. One reason is based on technical issues, and the other, more important, reason is business driven. 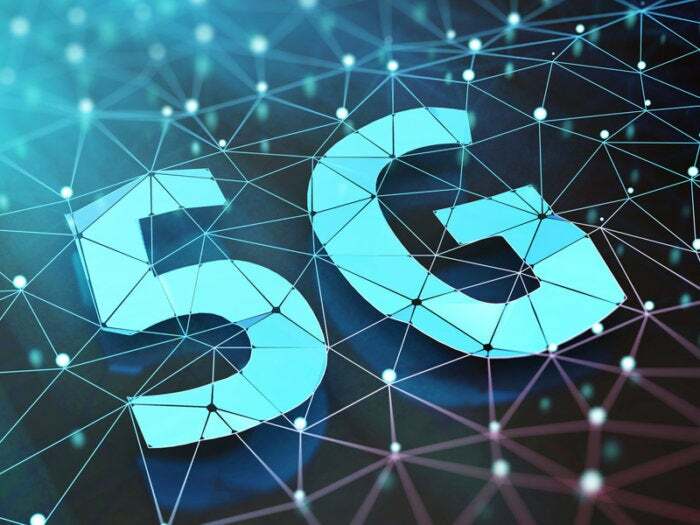 Network slicing in 5G is expected to open lucrative new business opportunities for mobile operators and other newer entrants. For example, a mobile operator will be able to split its physical network resources into multiple logical slices and lease these slices out to interested parties. An electrical utility may want to take a long-term lease of a network slice for connectivity of its smart grid composed of sensors, meters, and controllers and optimize that slice for IoT devices. Alternatively, a concert promoter may want to take a short-term lease of a network slice for a week-long musical festival and optimize that slice for streaming HD music and VoIP connectivity. Network slicing will also allow new business models to evolve in the mobile market. For example, existing cloud and data center providers, such as Amazon and Google, may find through network slicing a new way to play in the mobile network space. This would also allow existing mobile operators (e.g. AT&T, Orange) to lease network slices and concentrate mainly on their core strengths which include delivering high-quality networking experiences. This is quite different from today, as currently infrastructure cannot be granularly configured and optimized for different MVNOs (tenants). Current MVNOs have purely business and billing relationships with the network owner and run their MVNO service over a vanilla network with branding overlays. Network slicing will allow the network owner to customize the compute, storage and networking functions of the infrastructure for a given Virtual Network Operator’s traffic characteristics. What is happening in the standards? Due to the exciting business opportunities that network slicing will provide, there are a lot of related technical efforts going on in various standards bodies. 3GPP, for example, is specifying the overall Operations and Management (OAM) framework for how the owner of the physical network will manage the slices as part of its virtualized NFV network. 3GPP is also specifying the signaling and procedures required between network components and the UE to assign a device to a given slice. The Internet Engineering Task Force (IETF) has started to examine how the underlying IP network will implement network slices. As previously mentioned, there are already existing protocols like DiffServ and VPN which support network slicing like features. The IETF is still debating which protocols, existing or new, will be developed for network slicing. However, there is an early consensus that a lot of the required network slicing functionality can be accomplished by a judicious mix of OAM and traffic engineering. The new OAM features will allow definition, creation, deletion, etc. of slices. These slices may extend between administrative boundaries, meaning that the slices may span multiple operators or countries. The new traffic engineering features being considered include possible updates to underlying network substrates like MPLS, SDN, etc. to allow control signaling for network slicing purposes. Network slicing is very different from QoS because it will enable end-to-end virtual networks encompassing compute, storage and networking functions. Existing QoS approaches are all point solutions which offer a subset of functionality at best when compared to network slicing. Network slicing is generating a lot of excitement in 5G discussions mainly because it will open many new business opportunities. Network slicing is part of the general trend to make network services more virtual and thus benefit from the lower costs and increased innovation that the IT industry reaped with the move to the cloud and Everything-as-a-Service. It is not likely that network slicing will require revolutionary new technical standards. Instead, the technical changes needed will be applied across a myriad of technologies and standards all focused in the key areas of improved network intelligence, system integration, OAM and traffic engineering.